ATLANTA, GA – Like many children whose parents go through divorce, DeTimmeyon “B.A.M.” Williams spent much of his younger years dealing with anger. Having grown up listening to rappers like Tupac, Little Wayne and Jay-Z, he was inspired by music and used it to help him cope through some of the hardest times. Eventually he began to use music and songwriting as an outlet for that anger. While recording music in a home-built studio when he was younger, B.A.M.’s cousin – who is an entrepreneur and owner of Revolutionary Entertainment Group LLC – walked in and was extremely impressed with his lyrics, delivery and way with words. He helped steer B.A.M. in the right direction for a successful music career, inviting his cousin to move to Atlanta and attend The Art Institute of Atlanta, where he would major in music production. Eventually B.A.M. found his way into a professional recording studio, where he laid down his first song “Remember Me.” A month later he went on an extensive performing tour. 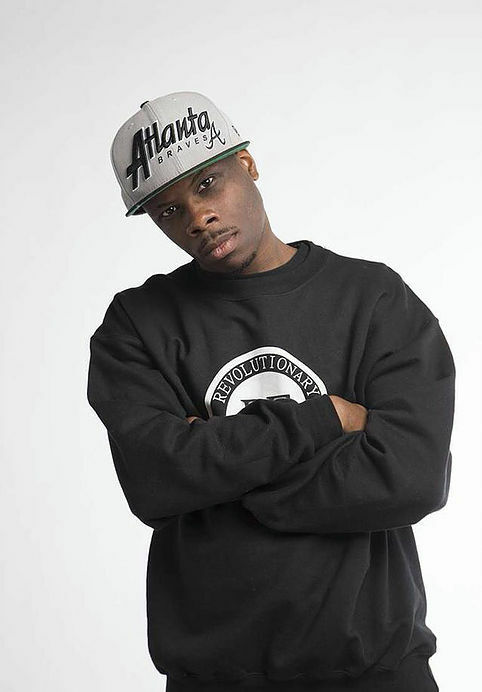 In recent years he has had nominations for “Best Artist of the Year” and “Best Hip-Hop Male Artist” for the GA Music Awards. He’s scheduled to release his first studio album “Before & After Music” toward the end of 2017. His goal is to become one of the greatest hip-hop artists of all time – both through his successful music and as an established businessman who can change the world through song. “The Throne” is currently available for digital download on Soundcloud, Audiomack and Spinrilla. B.A.M. said he released it free so that he could give people an idea of the kind of music he’s going to create. Fans can also find out more about him as an artist by visiting his website at bamforhiphop.com, or by following him on social media on Facebook or @gottaknowbam on Instagram and Twitter.